Instantly downloadable sheet music by Adam Guettel for voice and piano of MEDIUM skill level. Alle Notenausgaben von The Beauty Is zum Herunterladen bei VirtualSheetMusic. Instantly downloadable sheet music by Bart Howard for voice and piano of MEDIUM skill level. Instantly downloadable sheet music by Bjorn Ulvaeus for voice and piano of MEDIUM skill level. Instantly downloadable sheet music by Carole Bayer Sager for voice and piano of MEDIUM skill level. Alle Notenausgaben von Blueberry Pie zum Herunterladen bei VirtualSheetMusic. Instantly downloadable sheet music by Cole Porter for voice and piano of MEDIUM skill level. Alle Notenausgaben von Where, Oh Where zum Herunterladen bei VirtualSheetMusic. Instantly downloadable sheet music by Don Black for voice and piano of MEDIUM skill level. Instantly downloadable sheet music by E.Y. Harburg for voice and piano of MEDIUM skill level. Alle Notenausgaben von April In Paris zum Herunterladen bei VirtualSheetMusic. Instantly downloadable sheet music by Eric Mouquet for voice and piano of MEDIUM skill level. Alle Notenausgaben von Machine zum Herunterladen bei VirtualSheetMusic. Instantly downloadable sheet music by Frank Sinatra for voice and piano of MEDIUM skill level. Instantly downloadable sheet music by Freddie Mercury for voice and piano of MEDIUM skill level. Alle Notenausgaben von Somebody To Love (Vocal Duet) zum Herunterladen bei VirtualSheetMusic. Instantly downloadable sheet music by George Frideric Handel for voice and piano of MEDIUM skill level. Alle Notenausgaben von Where`er You Walk zum Herunterladen bei VirtualSheetMusic. Instantly downloadable sheet music by Greg Morrison for voice and piano of MEDIUM skill level. Alle Notenausgaben von Bride`s Lament zum Herunterladen bei VirtualSheetMusic. Instantly downloadable sheet music by Jack Lawrence for voice and piano of MEDIUM skill level. Alle Notenausgaben von Once Upon A Dream zum Herunterladen bei VirtualSheetMusic. 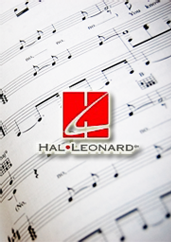 Alle Notenausgaben von Hear My Song zum Herunterladen bei VirtualSheetMusic. Alle Notenausgaben von The New World zum Herunterladen bei VirtualSheetMusic. Instantly downloadable sheet music by Jerry Livingston for voice and piano of MEDIUM skill level. Alle Notenausgaben von The Work Song zum Herunterladen bei VirtualSheetMusic. Alle Noten von Jerry Livingston zum Herunterladen bei VirtualSheetMusic. Instantly downloadable sheet music by John Bucchino for voice and piano of MEDIUM skill level. Alle Notenausgaben von It`s Only Life zum Herunterladen bei VirtualSheetMusic. Alle Noten von John Bucchino zum Herunterladen bei VirtualSheetMusic. Alle Notenausgaben von A Quiet Thing zum Herunterladen bei VirtualSheetMusic. Instantly downloadable sheet music by John Legge for voice and piano of MEDIUM skill level. Alle Notenausgaben von My Old Friend John zum Herunterladen bei VirtualSheetMusic. Alle Noten von John Legge zum Herunterladen bei VirtualSheetMusic. Instantly downloadable sheet music by Jule Styne for voice and piano of MEDIUM skill level. Alle Notenausgaben von I`m Going Back zum Herunterladen bei VirtualSheetMusic. Instantly downloadable sheet music by Kirk Franklin for voice and piano of MEDIUM skill level. Alle Notenausgaben von He Will Supply zum Herunterladen bei VirtualSheetMusic. Alle Noten von Kirk Franklin zum Herunterladen bei VirtualSheetMusic. Instantly downloadable sheet music by Lionel Bart for voice and piano of MEDIUM skill level. Alle Notenausgaben von Boy For Sale zum Herunterladen bei VirtualSheetMusic. Instantly downloadable sheet music by Mack David for voice and piano of MEDIUM skill level. Instantly downloadable sheet music by Maury Yeston for voice and piano of MEDIUM skill level. Alle Notenausgaben von I Want To Go To Hollywood zum Herunterladen bei VirtualSheetMusic. Instantly downloadable sheet music by Michael Stewart for voice and piano of MEDIUM skill level. Alle Notenausgaben von There`s A Sucker Born Ev`ry Minute zum Herunterladen bei VirtualSheetMusic. Alle Noten von Michael Stewart zum Herunterladen bei VirtualSheetMusic.